BANKBARODA (832) - Posted on 14th october 2009 for positional holding when it was trading at 500 and target posted for this stock 832. Yes today it attained the target. Ie., in 10 months it gave 66% return. NF (5418) - No need to repeat same levels everyday so see previous posts. BGRENERGY (820) - Above 810-805 going to attack 848 and after that 880. In downside Support exist at 780. ABAN (812) - On 11th Aug. Posted here below 855 come down to 810 as expected it came down and made a low 808. Now What next? last hope 800_795 even if not stop here,then fall continue to 745_725. SRTRANSFIN (694) - Trade below 685, come down to 665 and after that 642_622. Upside hurdle at 701_711. KOTAKBANK (830) - If trade and stays above 840, then going to attack 880_890. even if break this level also then ? 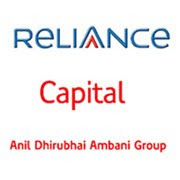 RELCAPITAL (748) - On 10 aug. written here below 785-775 come down to 745 yesterday it reached the down target. Now What next ? if trade below 740, the fall continue to 702 and if not take support here also, then next attack 661.